Seasonal trends come and go but some stick and make their way with you as the temps change. 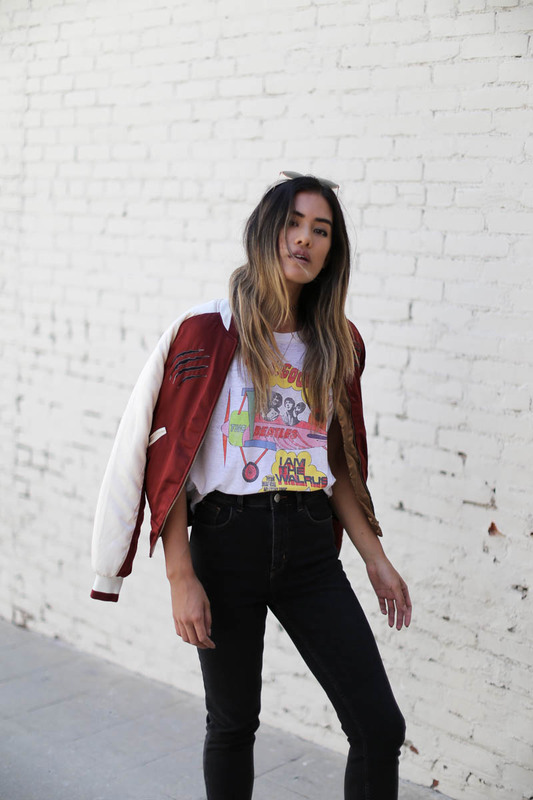 A couple of my favorite trends this summer have been cropped jeans + bomber jackets. Literally cannot get enough. What's not to love? 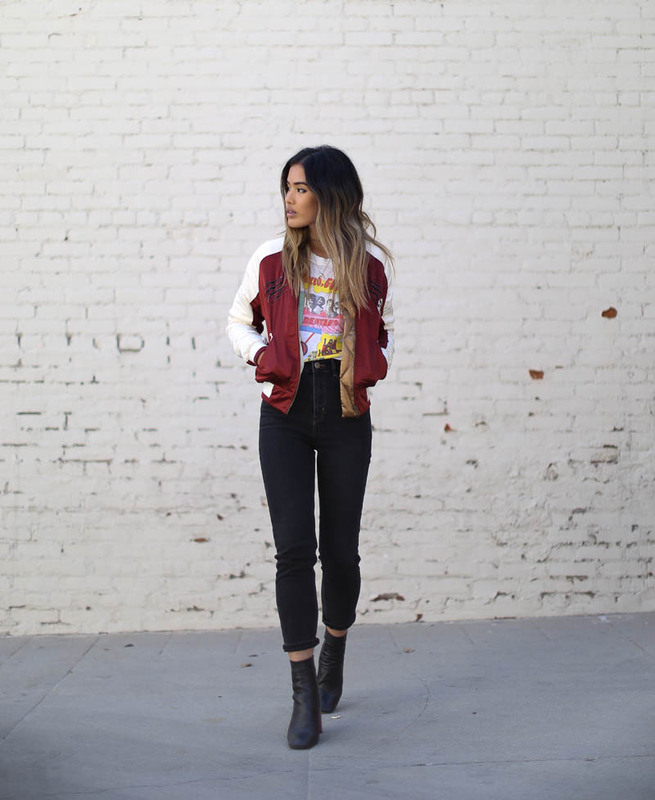 Cropped, high waist jeans make your legs look a mile long and bomber jackets are functional, practical, and FUN. Perfect to throw over your shoulders when the temps drop at night. My collection is growing very strong and I don't plan to stop any time soon! Staples, staples, staples! Although they stole my heart this summer, I don't plan on ditching them once fall hits. 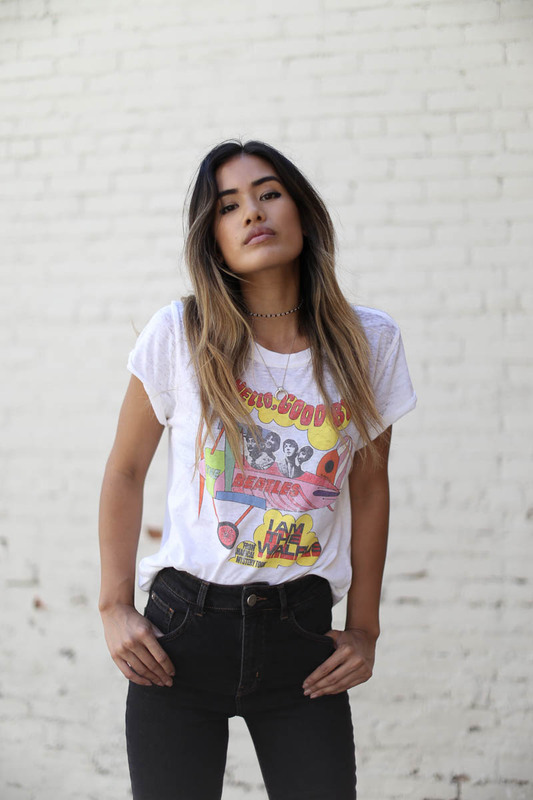 Transitioning them is so easy and means minor tweaks including switching from sandals to boots and tanks to tees. I have to point out that these are by far one of my favorite cuts of denim right now. 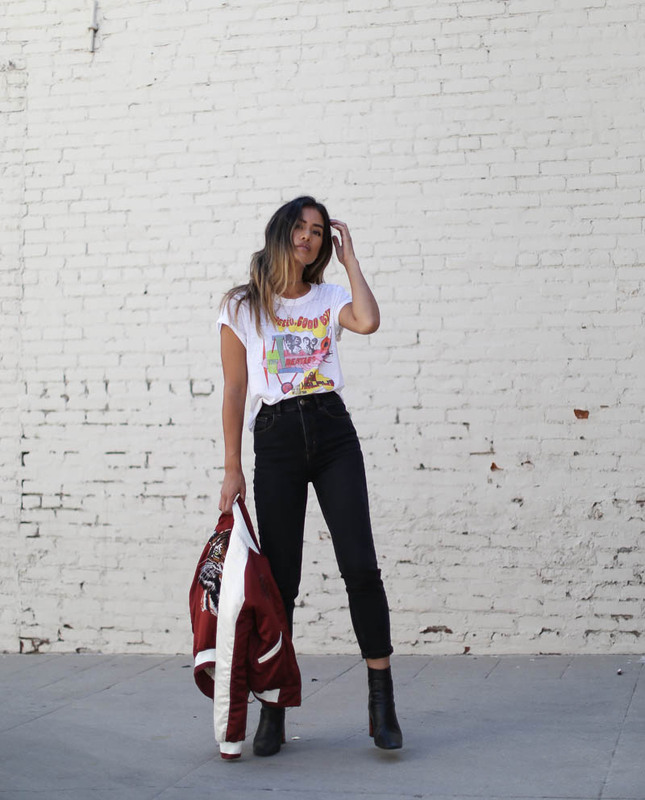 They are the UO BDG Girlfriend High-Rise Jean in black. Finding the right fit for me is a struggle sometimes so when I do find one that hugs all the right places, you better believe I buy them in multiple washes. That may break some sort of fashion rule but we make our own rules here!! My secret is out so let me know what your denim secret is in the comments below! Badass jeans #5ever. In love with that jacket, such a cool piece!! Very nice sporty chic look! 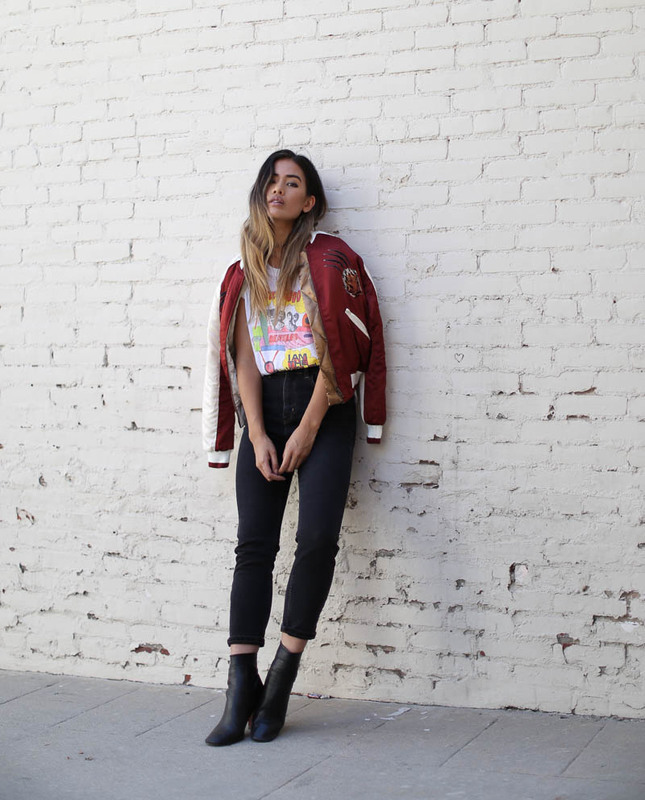 Love the bomber jacket and the boots a lot! You look awesome babe in your jacket! 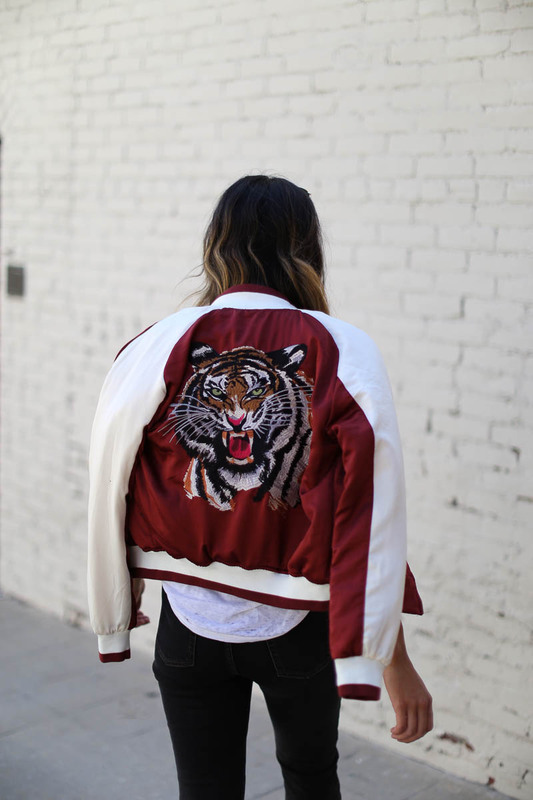 I'm obsessed with this bomber jacket! So on point! 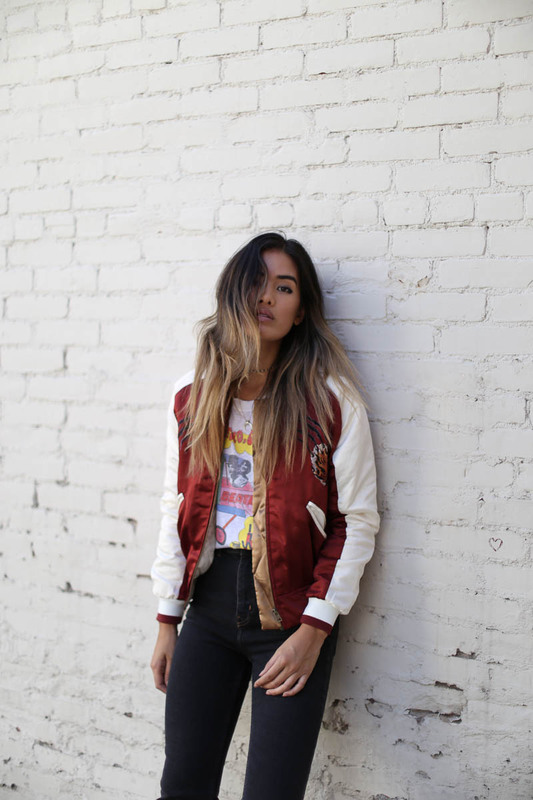 Love this look, such a cool bomber! 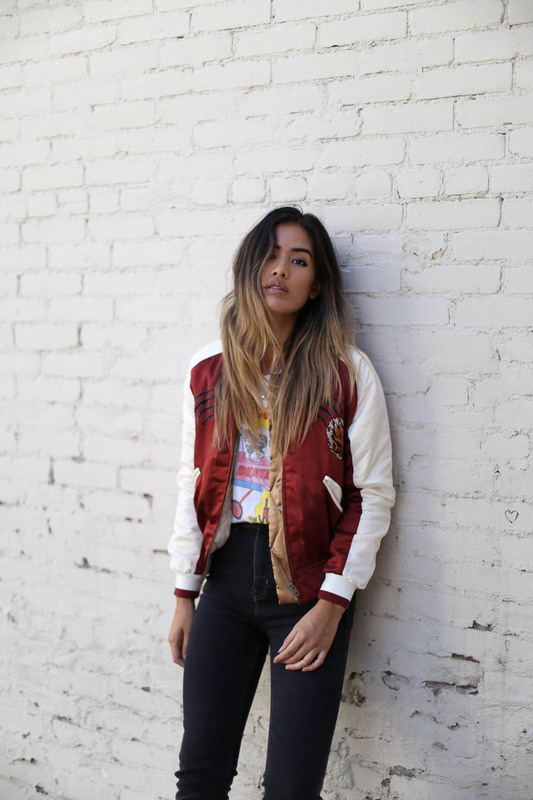 That bomber jacket is unreal!! YAS YAS YAS!!! Nice jacket looking so nice.